Michael Gitman, MD, serves as medical director at North Shore University Hospital (NSUH), where he oversees the hospital’s medical affairs, quality management and patient safety efforts. Dr. Gitman previously served as associate medical director at NSUH. Prior to NSUH, Dr. Gitman was vice chair for academic affairs and quality in Northwell Health's Department of Medicine. He held multiple committee roles, including chair of the LIJ Medical Center’s Medication Safety Committee, associate chair of the LIJ Medical Center’s Performance Improvement Coordination Group and chair of the North Shore University Hospital Department of Medicine Performance Improvement Coordination Group. 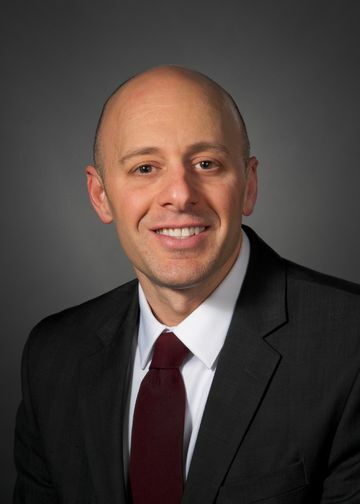 Dr. Gitman, an assistant professor of medicine at Hofstra Northwell School of Medicine, has been extensively involved in physician education over the past decade. He was program director for the North Shore University Hospital Nephrology Fellowship and AECOM LIJ Medical Center Internal Medicine Clerkship Site director. He has been awarded the NSUH Full-Time Faculty Teacher of the Year Award and the AECOM Samuel M. Rosen Outstanding Teacher Award. Dr. Gitman has multiple publications and presentations in the field of clinical nephrology. A fellow of the American College of Physicians and a member of the American Society of Nephrology, Dr. Gitman received a bachelor’s degree from Columbia University and a medical degree from SUNY Upstate Medical Center, where he was a member of the Alpha Omega Alpha Honor Society. He completed a residency and chief residency in internal medicine, as well as fellowship in nephrology at Mt. Sinai Medical Center, and he subsequently completed the Greater New York Hospital Association Clinical Quality Fellowship. In addition to his administrative duties, Dr. Gitman continues to maintain a clinical practice in nephrology.